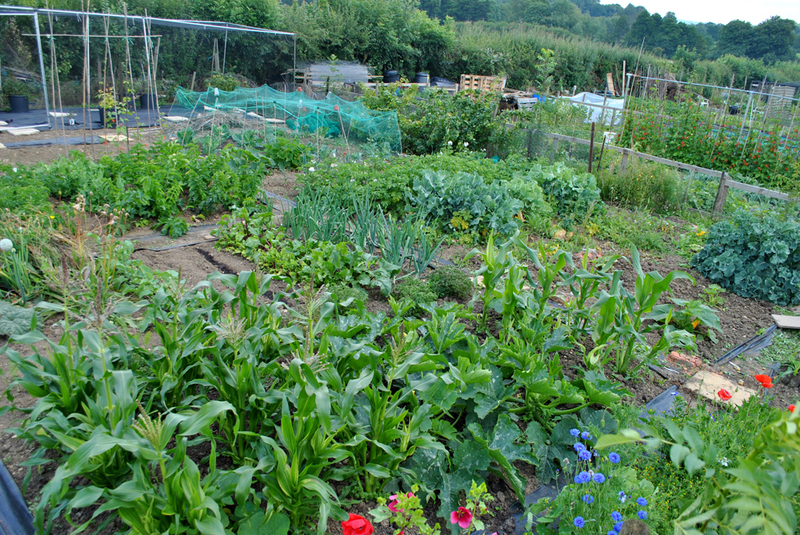 After coming home to rather more weeds than we remembered being there when we left it's taken a couple of trips to the allotment over the last two days to get things shipshape but now we're pretty much back on target. It's amazing how quickly weeds grow but it's also surprisingly easy to get back on top of things with the aid of a faithful hoe and a bit of elbow grease. In previous years our annual holiday has kind of marked the point where the plot has got away from us so it's nice that this year we've been able to come home and regain control so quickly. 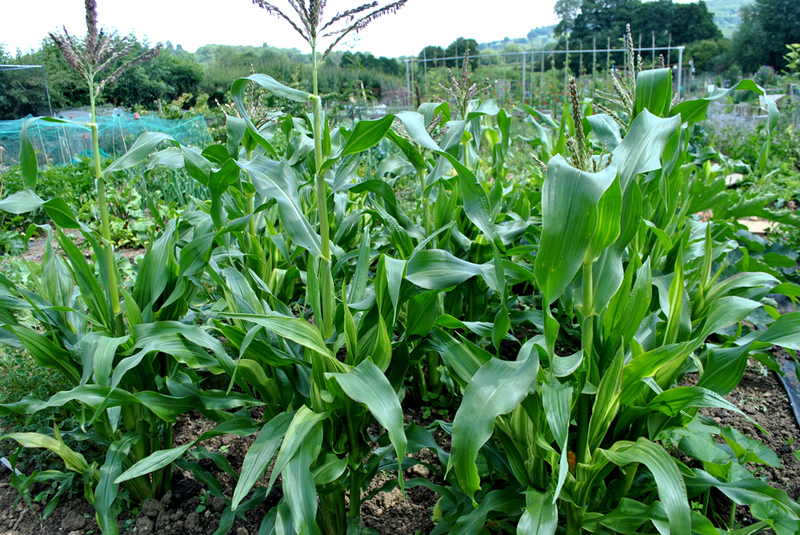 The best thing about the break was seeing how much things grew while we were away, perhaps the most impressive progress was the sweetcorn which is now looking really healthy and we should be seeing the cobs form soon we're hoping. 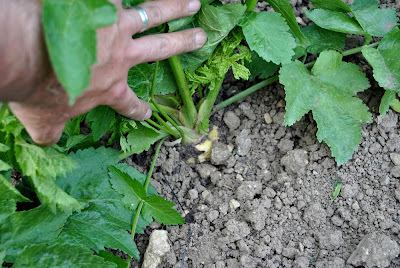 The parsnips too are thriving. Having seen Jono over at Real Men Sow have a little look at the size of his roots I wanted to check ours out and see if all the green growth up top was reflected below the soil. 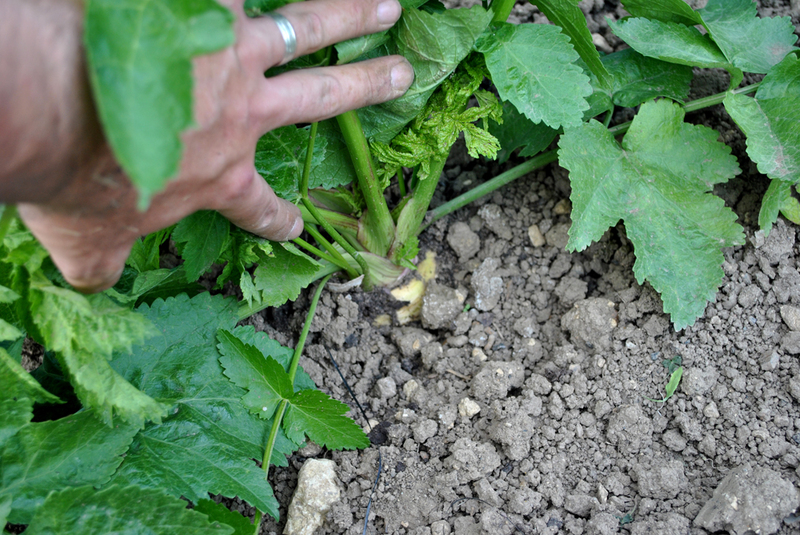 As you can see things are looking good, last time we grew parsnips they were monsters and this years look well on their way to being similar. The home-made brasica cage we cobbled together seems to be doing the job, there's been some leaf damage but mostly things seem to be thriving. There were loads of weeds in there which did reveal a design flaw in the cage but we soon worked out that unhooking some of the netting and poking the hoe through did the job so at least we can keep any new weed growth down from now on. The french and runner beans that were looking a tad sickly before we went away still aren't looking 100% but they're improving and the runners have started to flower despite everything so perhaps it'll all turn out ok in the end. 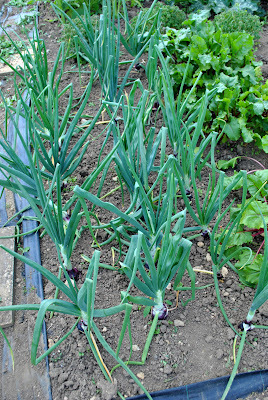 The red onions are looking good too, cant wait till they are ready to harvest as they're lovely in salads and sarnies. 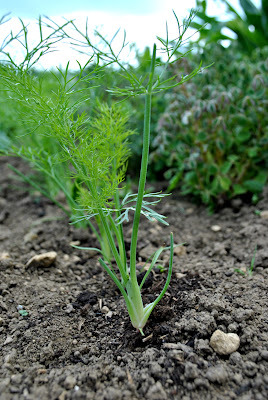 The fennel seeds we planted a few weeks ago have all done so well they needed thinning out already. 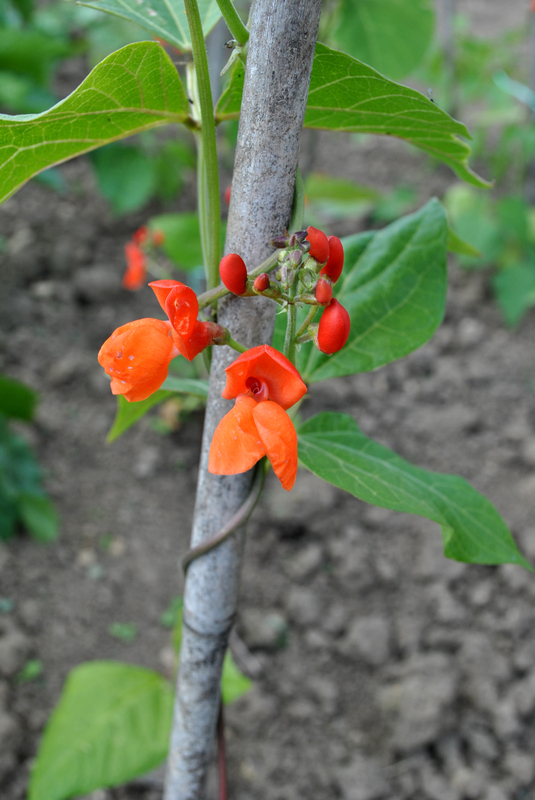 I've heard they can be a bit of a pain to grow because they bolt really easily so we'll be keeping an eye on them and making sure they remain watered. The leeks are also looking really healthy, all signs of the holes we planted them in have gone which I assume is correct (?) 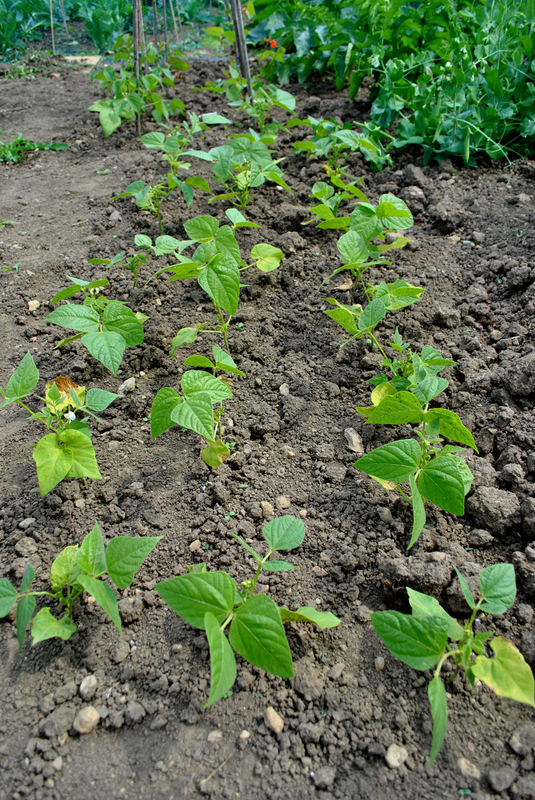 we just need to keep an eye on them and earth them up a bit at some point to ensure long white stems. Lastly the slightly random flower border we sowed with a sprinkling from one of those shake-n-sow boxes you can pick up for a couple of quid has started to bloom. 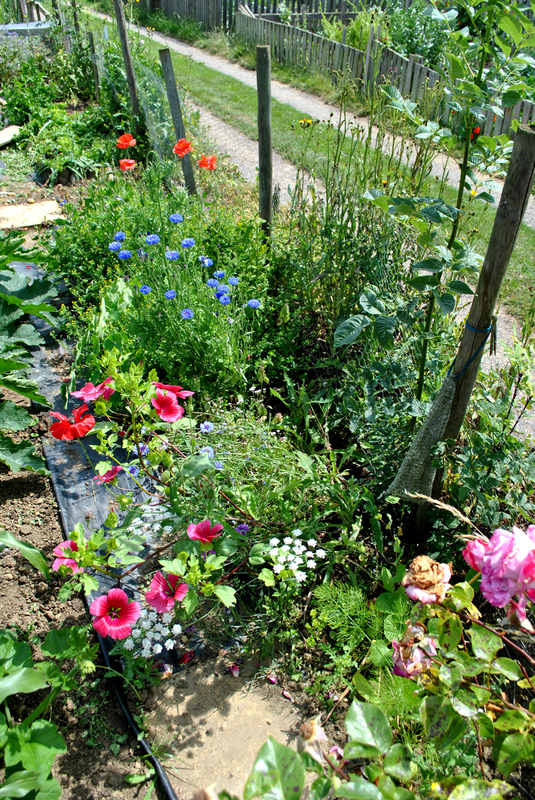 We perhaps over crowded it a tad but it's starting to look nice and bright and surely attracts some nice insects to the plot. 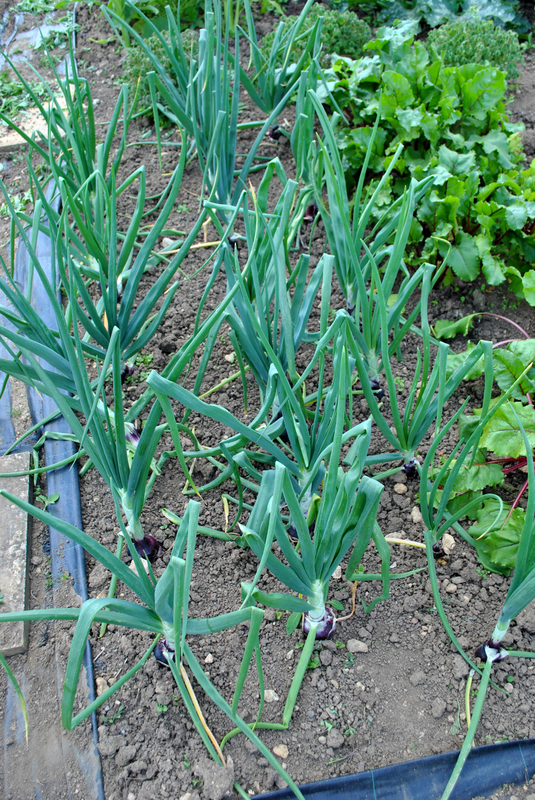 It's back to the old routine of work next week but at least the plot is back under control and we'll try to have some slightly more interesting posts next week rather than just big long lists of what's growing. You can really see a difference when you've been on holiday, everything looks to have had a growth spurt on your return. 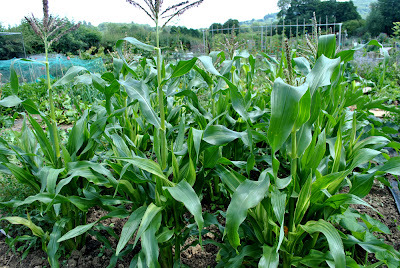 The sweetcorn's looking good, our's have been planted out late so I'm still keeping my fingers crossed. 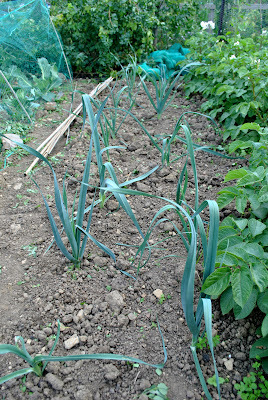 Everything looks great and yes it's normal for the leek holes to fill. 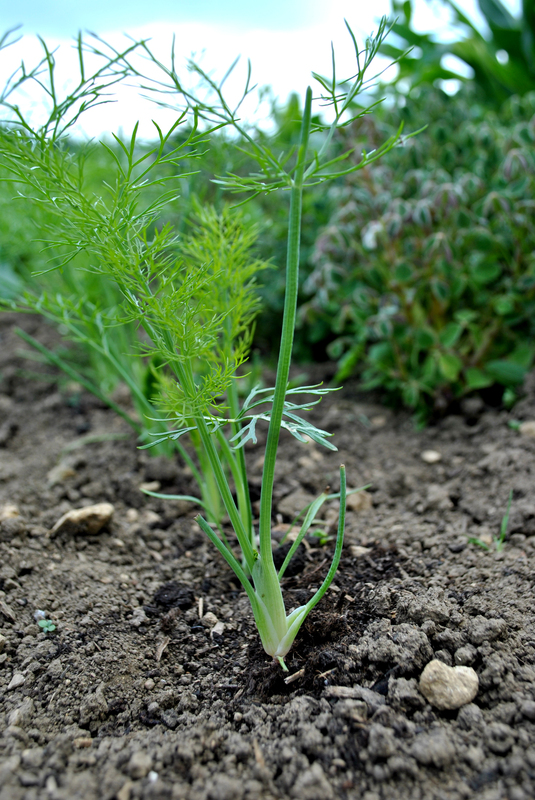 Being so dry is helping slow the weed growth so at least there is one bonus to such dry soil! I love your garden! 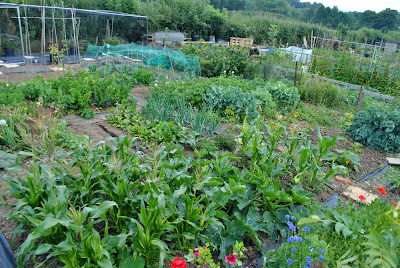 It's interesting to see how similar gardening is on the other side of the pond. 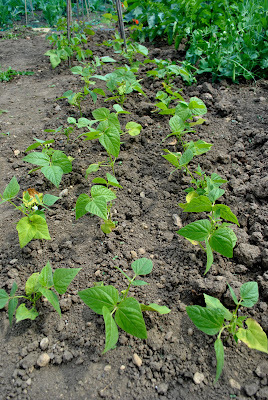 I'm in a cold corner of the USA, but grow most of the same vegetables you're growing. 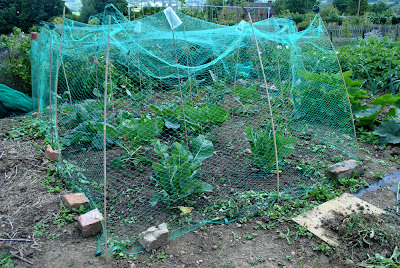 One question- what does the cage around the brassicas keep out? Just curious. I like the blog template as well- I used a similar one for mine- it's cheery in the winter and makes me feel good every time I look at it. No blog posts in a while!